You look beautiful! The jacket looks very pretty on you!! the hair is beautiful and looove the BAD ring! check out our new Iceland winter post. I WAS GOING TO BUY THOSE SHOES!!!! I dont know what stopped me... I love them. You look great. I recently fall in love again with Your blog ! I neede to say that ! I love now Your photos. Without those fish - eye lens which is sometimes good, but not always ! 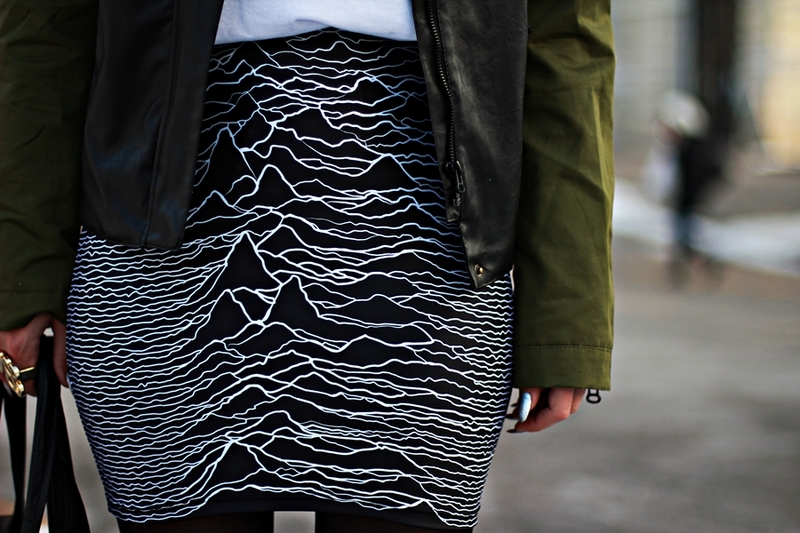 the joy division skirt is foboulous!!! amazing accessories you look so stunning as is this entire look!!!!! xO! Gorgeous shoes and skirt dear! So stunning look!! Love the skirt! really like everything on your outfit <3 nice one! What an interesting skirt. Great outfit to wear it in. U zadnje vrijeme su ti odlicne slike,i super se vide outfiti, samo tako nastavi! such an awesome look! 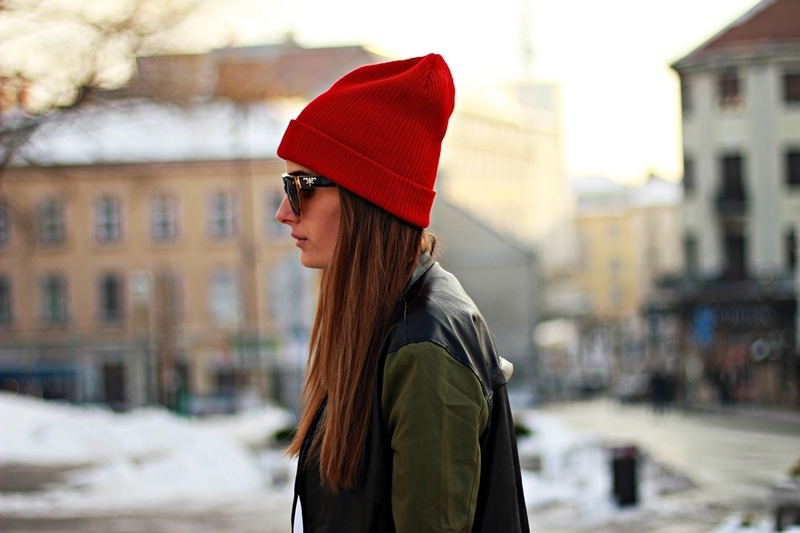 the red beanie is cute! I love this outfit. The boots are just stunning. Jakna je FENOMENALNA :) Možeš li mi reći kakve su im veličine ? Tenks. Izgledas divno, outfit je savrsen! 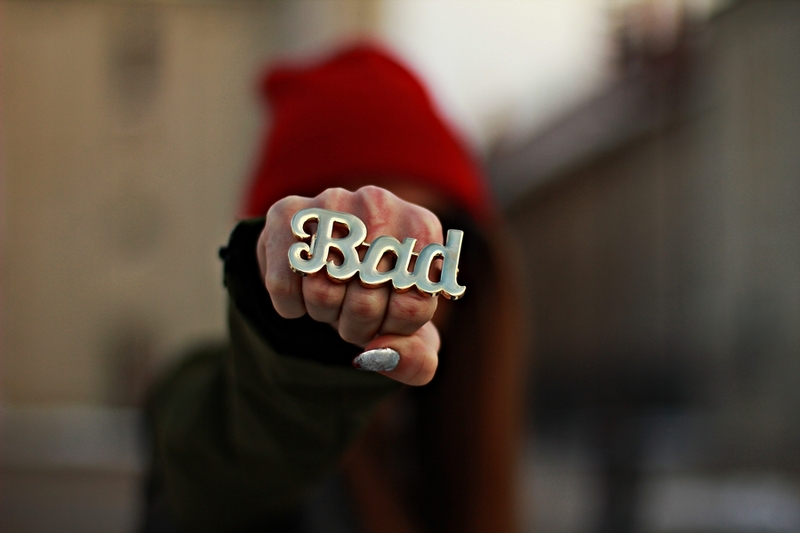 woooow,you´re bad girl! Bravo za kombinaciju!Pratimo se?! ODLICNO. Kapa i cipele, pocetak i kraj savrsenog outfita! Premocan outfit, od glave do pete! Pratim te, nadam se i ti mene. Oh yeah ! I love the ring !